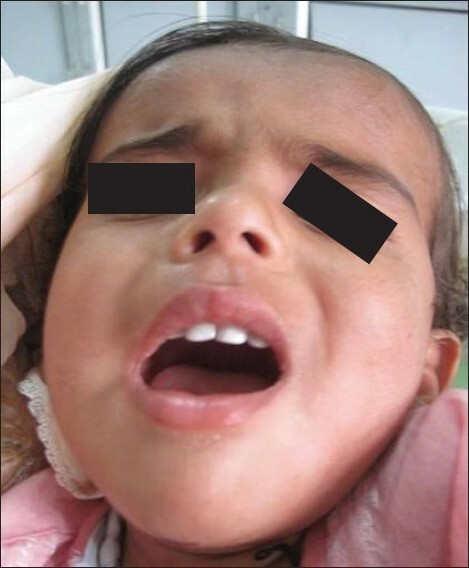 Management of bilateral cleft lip and palate cases is a challenging task, and if the premaxilla is shifted to either side, it poses a problem for the surgeon to operate and also for the orthodontist to do the orthodontic alignment. The aim of this study was to reposition the shifted premaxilla for better retraction with presurgical infant orthopedics, thus reducing the tissue tension and further scarring which have detrimental effects on maxillary growth. The innovative technique with pre-directional (PD) appliance is easy to fabricate and use and works in this direction. Acrylic, springs, permasoft liner, elastics, retentive tapes. Previous approach for the shifted premaxilla was more focused on the surgical correction. In adults, surgery with osteotomy is the only option, with its own limitations and disadvantages, in repositioning the shifted premaxilla. Thus, PD appliance aids to correct the shifted premaxilla in presurgical molding stage. The premaxilla was thus shifted 5.5 mm to the left side, with premaxilla in facial symmetry, with the PD appliance. Presurgical orthopedics with PD appliance is worth in infants with shifted premaxilla in bilateral clefts cases. The cemento-ossifying fibroma is classified as a fibro-osseous lesion of the jaws. It commonly presents as a progressively growing lesion that can attain an enormous size with resultant deformity if left untreated. 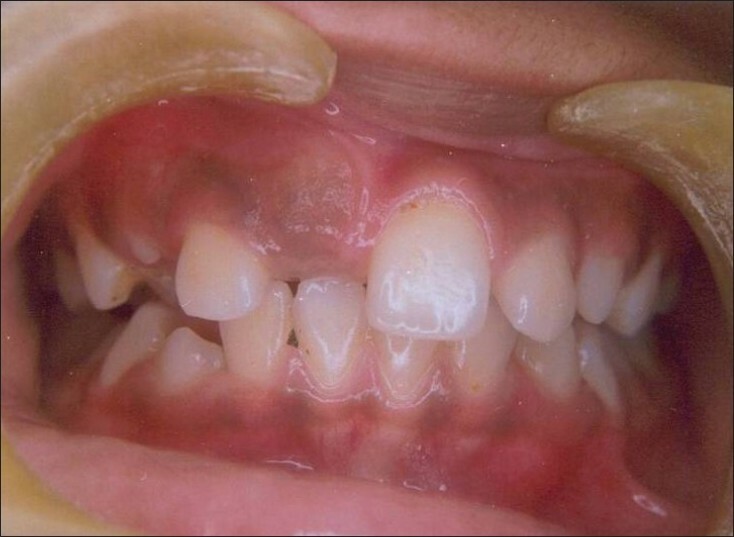 The cemento-ossifying fibroma is a central neoplasm of bone as well as periodontium which has caused considerable controversy because of controversy regarding terminology and the criteria for its diagnosis. This case report describes a female patient with cemento-ossifying fibroma involving maxillary antrum. The clinical, radiographic and histological features as well as the surgical findings are presented. Sotos syndrome is a well-defined childhood overgrowth syndrome characterized by pre- and postnatal overgrowth, developmental delay, advanced bone age, and a typical facial gestalt including macrodolichocephaly with frontal bossing, frontoparietal sparseness of hair, apparent hypertelorism, downslanting palpebral fissures, and facial flushing. 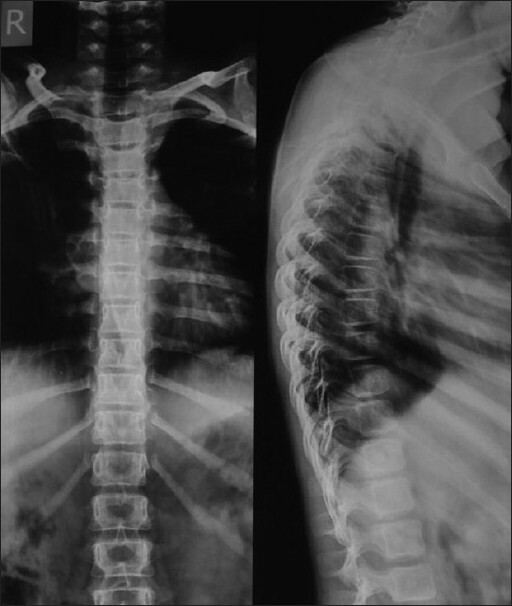 This report presents a case of Sotos syndrome in a 5½-year-old child. Tuberous sclerosis or tuberous sclerosis complex is a dominantly inherited neurocutaneous disorder that variably affects the brain, skin, kidneys, heart, and other organs. Diagnosis of tuberous sclerosis becomes difficult in the young individuals with subtle changes. At this point, a careful inquiry and examination of the accessible signs and symptoms can errand a possible diagnosis. 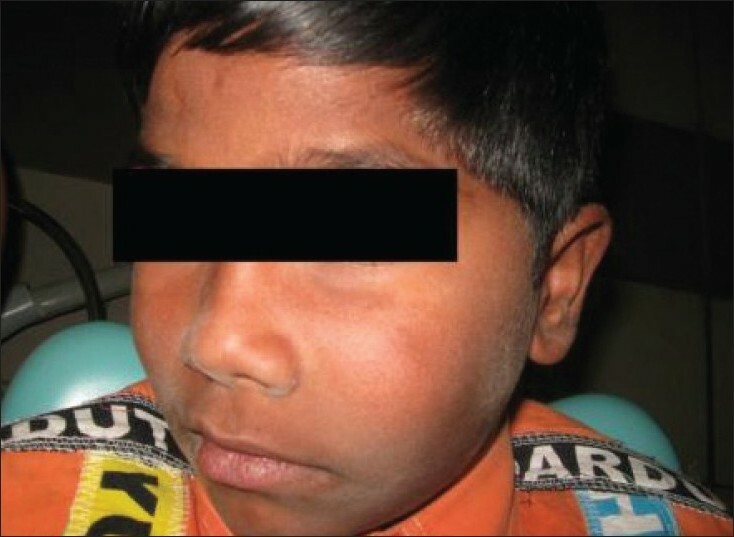 We hereby report such a rare case of tuberous sclerosis in 14-year-old boy, which was diagnosed in a novel approach. Odontodysplasia is a rare, non-hereditary developmental anomaly affecting dental tissues derived from both the mesoderm and ectoderm which results in a bizarre clinical and radiographic appearance. Regional odontodysplasia describes the segmental and localized nature of the condition. Odontodysplasia occurring in a single tooth is a rare occurrence. A case of Solitary odontodysplasia in an eleven year and half old male whose chief complaint was the absence of eruption of permanent maxillary right central incisor teeth is presented. Clinical, radiographic and histological findings of a single tooth, odontodysplasia are described in this case report. Leiomyoma is a benign smooth muscle tumor that rarely affects children and occurs most frequently in the uterine myometrium and gastrointestinal tract. Its occurrence in the oral cavity is considered rare probably because of the scarcity of smooth muscle tissue in the oral cavity. The most common intraoral sites for leiomyoma are lips, palate and tongue. The purpose of this case report is to present the clinical features, diagnosis and treatment of a rare case of oral leiomyoma in a 13-year-old girl with a 4-month history of a swelling in her left mandibular area extending from first molar to retromolar region. PHACE syndrome was first described by Dr. Ilonia Frieden and colleagues in 1996. 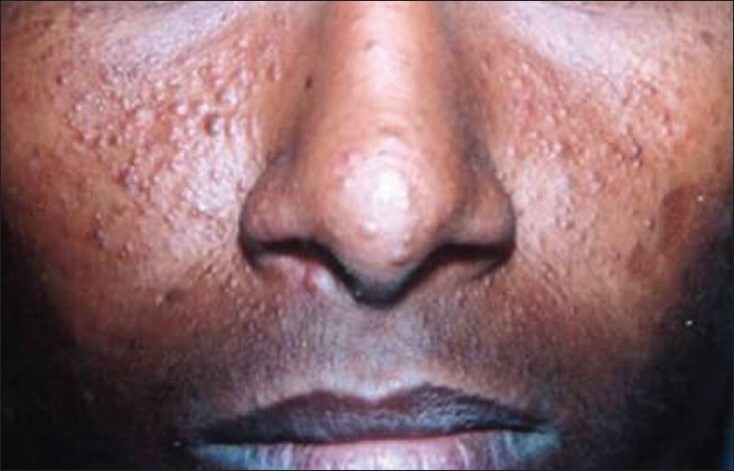 It is an under-recognized rather than a very rare condition among patients with large facial hemangiomas. It is challenging as it has significant neurological, vascular and airway implications. Vascular malformations compromising cerebral blood flow predispose the patient to strokes and seizures. Subglottic hemangiomas, if present, could bleed during intubation. Meticulous neurological monitoring is mandatory in those undergoing repair of the great vessels. We describe the perioperative management of a child with PHACE syndrome subjected to dental treatment under general anesthesia. The presence of nasal air leak in cleft palate patients with velopharyngeal incompetence leads to characteristic nasal snort. The efficacy of the palatal lift appliance in patients with adequate velopharyngeal tissue with incompetence was tested. Speech quality improved after the wearing of palatal lift appliance. Palatal lift appliances are simple and efficient in reducing the nasal air leak. 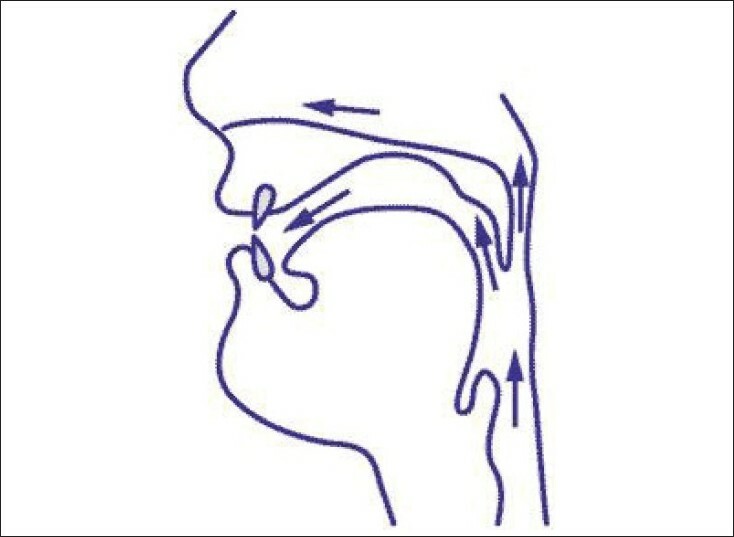 Ongoing speech therapy is necessary and advised for patients receiving palatal lift. Ameloblastoma is the most common aggressive benign odontogenic tumor of the jaws. The tumor is often asymptomatic, presenting as a slowly enlarging facial swelling. The physical presence of the tumor may cause symptoms such as pain, ulceration, loosening of teeth, or malocclusion. Ameloblastoma is a locally destructive tumor with a propensity for recurrence if not entirely excised. It is seen in all age groups, but the lesion is most commonly diagnosed in the third and fourth decades. The tumor is considered a rarity in the young age group. The treatment of ameloblastoma is still controversial and presents some special problems in children like the growth of the jaw, the different incidence, behavior and prognosis of the tumor in children, which make the surgical considerations different from adults. Some reports have encouraged conservative treatment for ameloblastoma in children. Child abuse and neglect are important public health problems and recent estimates of their prevalence suggest that they are considerably more common than had hitherto been realized. Intervening to change parenting practices may, however, be important in their treatment. Despite their frequent occurrence among dental patients, neglect is the least known and identified type of abuse. The present case reports a 3-year-old girl suffering from abuse and neglect. 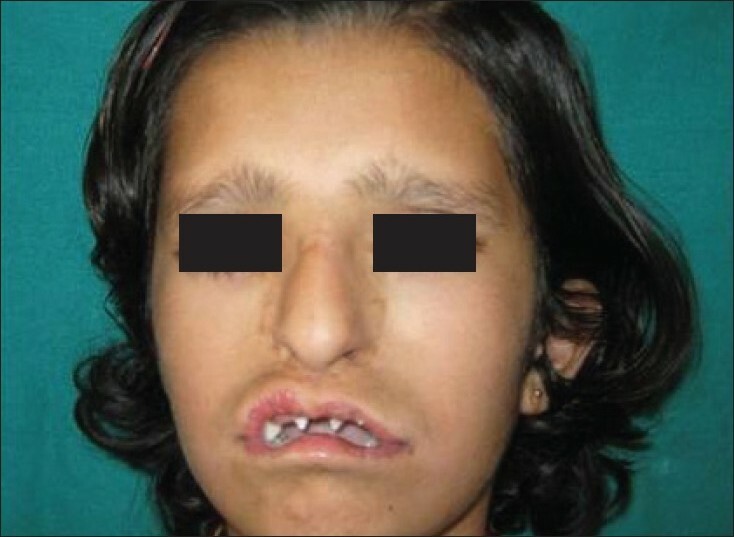 The girl had dental neglect and also performed poorly in all parameters of growth and development. This case describes the process that was followed in order to reach a diagnosis and safeguard the child. The parent was counseled and the girl got her due share of access to comprehensive oral and general health. 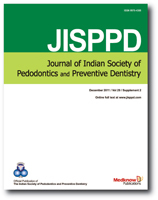 This case emphasizes that the dental professional should always be vigilant and collaborates among like-minded individuals to increase the prevention, detection and treatment of these conditions. Oral-facial-digital (OFD) syndrome is the collective name of a group of rare inherited syndromes characterized by malformations of the face, oral cavity, hands and feet. OFD syndrome type I, also known as the Papillon-League-Psaume syndrome warrants our attention because early diagnosis from an odontologic viewpoint will minimize the sequalae of developing physical and dental abnormalities. 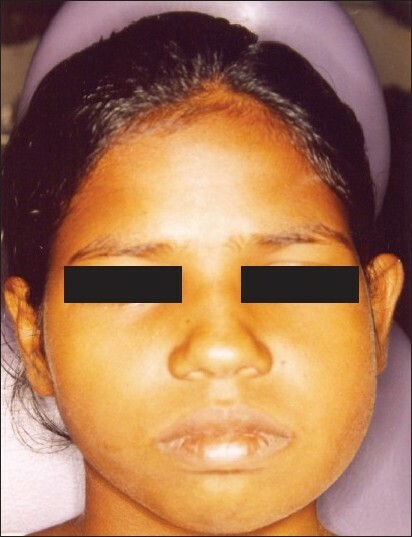 The present article highlights the clinical as well as the radiographic findings and the treatment that was done of a 10-year-old girl child diagnosed with OFD I.
Mucormycosis is one of the most rapidly progressing and lethal form of fungal infections in humans which usually begins in the nose and paranasal sinuses. The fungus assaults the arteries, leading to thrombosis that subsequently causes necrosis of hard and soft tissues. 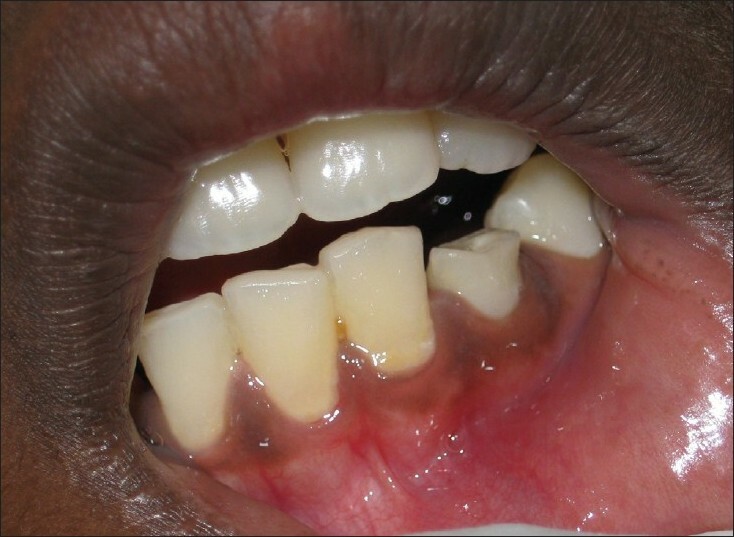 The purpose of this article is to describe a rare case of maxillary necrosis due to mucormycosis in a 12-year-old diabetic patient and emphasizes on early diagnosis and timely management of this potentially fatal fungal infection. Palatal radicular groove is a discreet alteration in tooth morphology, characterized by an invagination that begins near the cingulum of the tooth and moves in an apical direction. Clinically, palatal radicular groove may be associated with periodontal and/or endodontic problems. This paper describes a clinical case of a young patient with palatal radicular groove with no signs of periodontal disease or endodontic impairment. An early diagnosis was made and treatment consisted of surgical sealing of the defect. After a 2-year period, reexaminations demonstrated adequate hygiene, maintenance of tooth vitality and periodontal health. The early diagnosis and sealing of the groove observed surgically made the root surface smooth, avoiding subgingival bacterial plaque buildup, and preventing possible periodontal and/or pulp impairment stemming from the defect. Self-injurious behavior is a deliberate alteration or damage without suicidal indent. Herein, we report a patient who had caused intentionally self-trauma to his left lower permanent canine and placed a long metallic foreign body into the root canal. History revealed a habit of placing metallic objects in the form of stapler pins into the mouth, but closer examination revealed the habit to be more as a method of self-injurious behavior. Following an episode of severe pain, the tooth was endodontically treated after removal of the foreign body that was corroding. Clinical significance of the case report is that the patient may just be put off as having a habit of inserting foreign objects into the mouth, but the behavior was more self-injurious in nature. Trauma to the deciduous teeth may have severe consequences. Pulp necrosis is the commonly observed sequel in traumatized primary teeth and is one of the possible etiologic factors for the development of dentigerous cyst. Dentigerous cyst is more commonly seen in mandibular third molar and maxillary canine region and is rarely associated with other teeth. 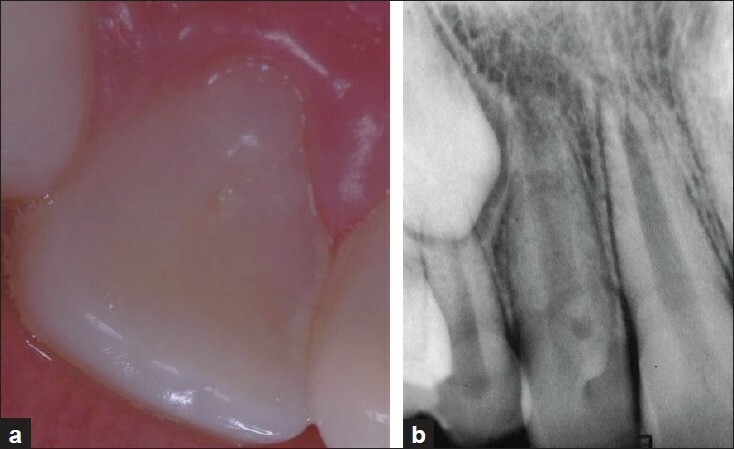 This article addresses a case of dentigerous cyst associated with the germ of upper permanent central incisor, an uncommon site of occurrence, which was impacted, dislodged from its natural site of eruption after trauma to the predecessor incisor. Temporomandibular joint dislocations are extremely rare in children and only four such cases have been reported in the literature so far. 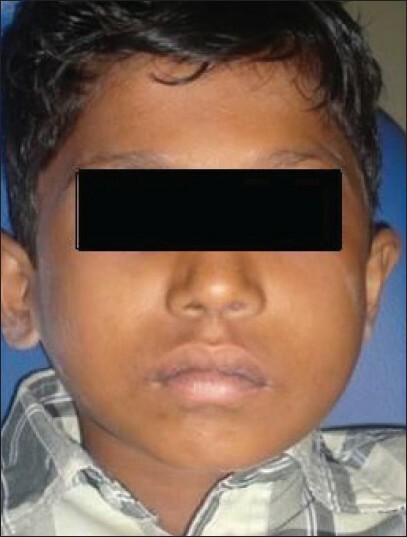 However, a case of recurrent bilateral mandibular dislocation is even rare to occur and a report of one such case is presented in this article.